What Does Honda’s Warranty Cover? When you buy a Honda, it comes with a Honda Warranty. But what does the warranty cover? With Honda Care, Roadside Assistance, and Honda Limited Warranty, the parts and components, from the engine to the braking systems, are coverered. Also, helpful services like roadside assistance and rental car reimbursements are there when you need them. 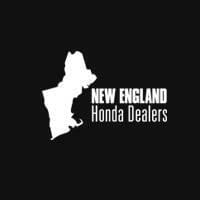 And with Honda models winning awards and recognition including being named among Car and Driver’s 10 Best, Honda models offer an overall high value to New England drivers. Roadside Assistance is valid during the first three years or 36,000 miles and includes services such as jump-starting, flat tires, lockouts, towing, fuel delivery, and more. The service can be acquired anywhere in the United States, Canada, and Puerto Rico. The roadside assistance service can also help drivers secure alternate transportation, such as a rental car, or help make hotel reservations if you are far away from home. Learn more about what the Honda Warranty covers by contacting us or by visiting your nearest New England Honda dealer. Explore our current offers and sit behind the wheel of your favorite model with a test drive today.